Right-wing extremists attacked a peaceful assembly in Ukraine. The police responded by charging one of the human rights defenders. UPDATE: ALL CHARGES AGAINST OLENA SHEVCHENKOISHEAD WAS CLEARED IN COURT 15 MARCH. ULTRA-RIGHTS MOBILIZED MASSIVELY BUT SHE LEFT THE COURTHOUSE PROTECTED BY POLICE AND PRIVATE SECURITY. 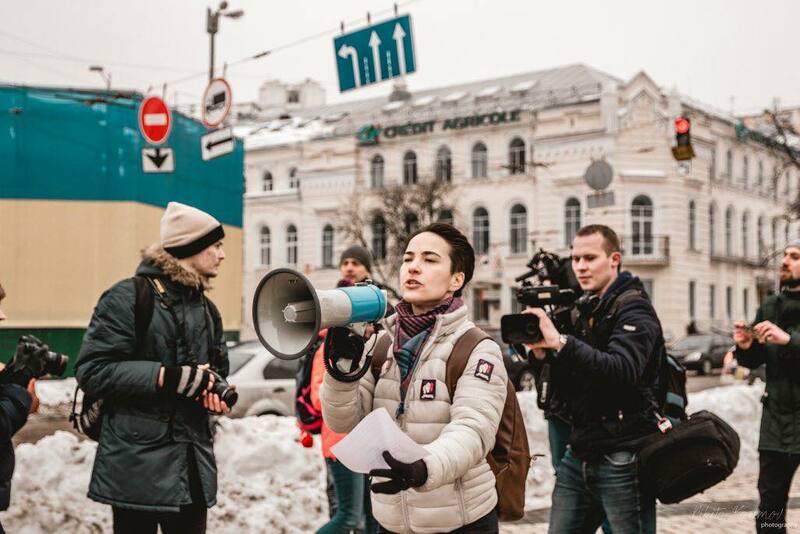 Olena Shevchenkoishead of the LGBTIQ organization “Insight” in Ukraine. She faces prosecution in court as one of the organizers of a peaceful manifestation of the International Women’s day 8 March. – We call upon Ukrainian authorities to protect the right to freedom of assembly. 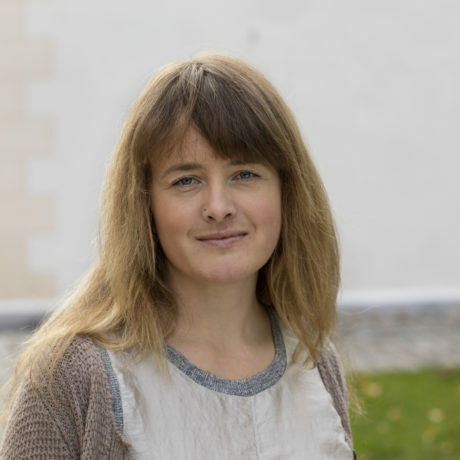 Dismiss the charges and take action to ensure safety of human rights defenders, says Mina Skouen, Senior advisor at the Norwegian Helsinki Committee. 8 March women all over the world rally to express solidarity and protest against inequality. In Kyiv 1000 people joined the manifestation, but were attacked by counter demonstrators from the ultra-right movement. According to Insight at least seven persons got injured from canisters of gas and beatings. Attacks were launched against marches in Uzhgorod and Lviv as well. Instead of responding to attacks against the participants, the police charged Shevchenko personally for content on one of the banners. – We are concerned about Shevchenko’s safety, as we know her picture and threats of violence are spread online, says Skouen. At the initial court hearing Shevchenko reports of having had to call for a private security company as court security did not show up and bullies were waiting outside. Bullies who attacked and caused injuries go free while the organizer of a peaceful manifestation is facing charges. Thursday 15 March she faces several charges in court. 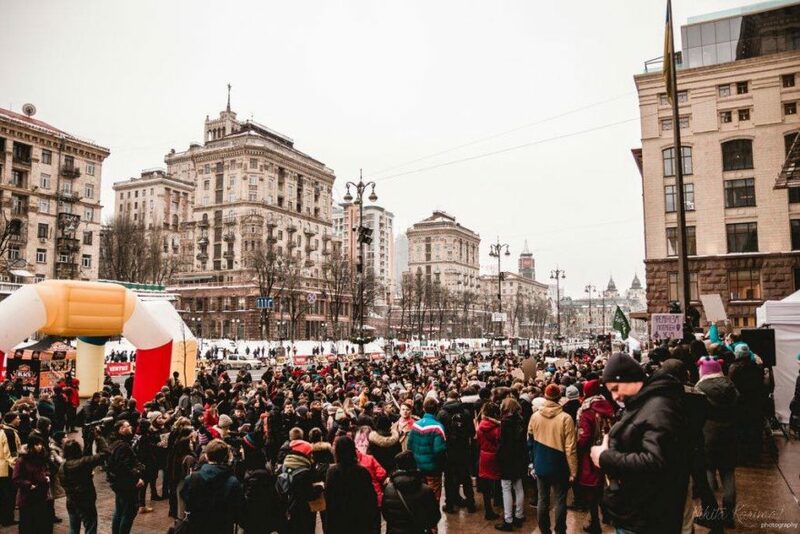 The police claim she violated procedures for conducting peaceful assemblies because one of the banners had a symbol mistakenly interpreted by the police as the emblem of Ukraine. What the banner really pictures is the symbol of an ultra-right group. Abuse of state symbols is punishable by up to five years imprisonment. – Bullies who attacked and caused injuries go free while the organizer of a peaceful manifestation is facing charges. This encourages hate groups who are persistently persecuting activists such as Shevchenko in Ukraine today, says Skouen. The NHC, Amnesty and other organisations are raising concerns about the treatment of Shevchenko and other activists in Ukraine.